Air conditioning units are a staple in almost every home. They are necessary for surviving those hot summer months when the sun is blazing and the temperatures are steadily rising. When an air conditioning unit suddenly stops working, it feels like a disaster. Don't fret yet though, there are easy ways to make the situation better. 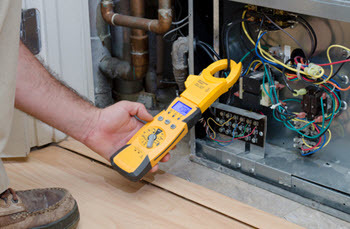 In this article, we will discuss what to do when you find that you AC has stopped working, how to troubleshoot it, and, if needed, what you can do while you wait for A/C repair for your Miami FL home. The first thing you should do when your air conditioner breaks down is try to figure out why. Although you should never attempt an AC repair yourself, you can always do some air conditioner troubleshooting to check some basic things. Start by checking to see if your power has gone out. Naturally, this will cause the air conditioner to stop working. If this isn't the cause, move on and check the circuit breaker. which can overload the circuits. Make sure all the switches are in the right position. If the power is still on and the circuit breaker appears untouched, make sure that the thermostat is functioning properly. The batteries may have died or there may be a glitch causing it to malfunction. It's also a good idea to make sure there is no electrical or water damage to the unit. If none of these options seem to cause the issue, it is time to call in a professional. 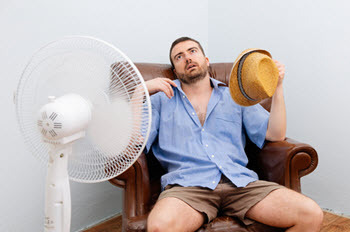 While you're waiting for air conditioning repair, you'll probably start to worry about how to keep cool. You should first focus on the best ways to reduce all extra heat within the house before figuring out how to cool it down further. Turn off the oven if it's on and forgo using the dishwasher. Ditto for other big appliances that generate heat like the washer and dryer. It's best to skip the blow dryer or curling iron too. Next, pull the shades down on the windows to keep sunlight from coming into the house and warming it up. Without an air conditioner, the summer heat can be sweltering. Exposure to too much heat is bad for the body, so keeping cool is important while your air conditioner unit is out of order. Thankfully, there are several easy ways to cool down without an air conditioner. is to change into cool, loose cotton clothes. Drink lots of water. It's also the perfect time to take a nap. Turn on any fans you have in the house, including ceiling fans to get some good wind circulation moving through the rooms. If it's still hot, try placing bowls of ice in front of the fans to lower temperatures. You could also run towels under cold water and drape them over your neck to cool down if you're still uncomfortable. If your unit is still not operational by night time, open the windows to let the cooler nighttime air circulate through the house. When the air conditioning unit malfunctions, it can cause anyone to panic. But staying calm and working through the problem will keep you and your home cool for the summer. As always, only work with the most trusted central air repair near me. Not just anyone should handle something as important as your air conditioner. For trusted, affordable, and friendly AC repair services, contact Result Home Services. to properly diagnose your system and quickly get it in proper working. They can find the best solutions to repair it so that your home can feel comfortable once again. Call us today to schedule an appointment. Some of the areas we service include: Miami, Miami Beach, North Miami, Kendall and these zip codes: 33101, 33109, 33154, 33143 as well as all surrounding areas in Miami-Dade County, Florida. We service multiple locations throughout the United States, including Miami, FL. Click here to see our coverage area. You can also give us a call at (888) 972-8662 to fast and reliable repairs and maintenance services. Posted in Cooling Systems and tagged air conditioner troubleshooting, air conditioner troubleshooting not cooling, central air conditioner not cooling, central air repair near me, how to fix air conditioner not cooling, why is my air conditioner not cooling the house? Is It Time For An Air Conditioner Replacement In Your Home?